Who doesn’t covet influence? It’s invaluable when you need to sway the boss, get your peers to cooperate or perform, convince people to mind your work, persuade prospects to become customers—the list goes on. Clearly, as a marketer, or communicator of any sort, your ability to influence others is key to your success. My passion for the topic inspired quite a bit of research and deliberation, and then, the list post “30 Action Items to Get Serious About Influencer Marketing,“ as well as an infographic featuring ideas from 22 influential marketers. 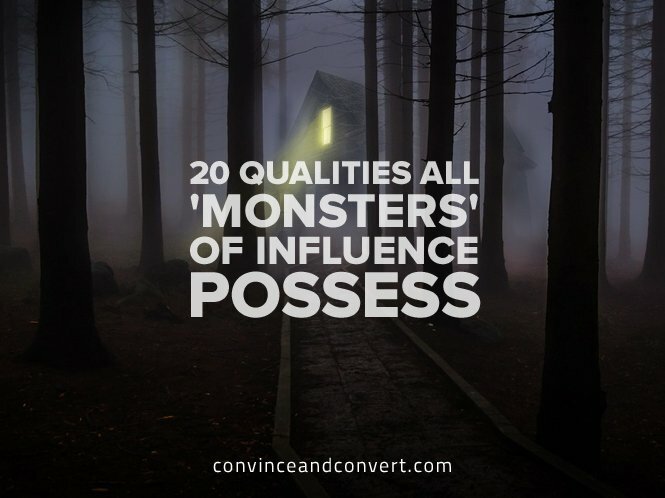 I also teamed up with the design team at Visme to create the infographic below Shop, which features the 20 qualities I believe are common to influential people (and monsters).